the zombies of mesmer | STEAMED! Between now and October 31st I’m giving away several Kindle copies of my works, including the new Avalon Revamped, the eclectic collection Caught in the Cogs, and the teen romance The Zombies of Mesmer. The last is in preparation of The Ghosts of Southwark (its sequel) release on November 1st. A few of these giveaways have already come and gone. Those who “like” my FB Fan Page were the only ones in the know, so go “like” that page now. You wouldn’t want to miss out on future freebies! For the others, stay tuned to my Amazon Author Page to see what’s free when between now and Halloween. You’ll get hints as to when the next free book is available on my FB Fan Page. Additionally, I’ve put up several new, never-before-seen short stories on the Kindle, all for under $2. 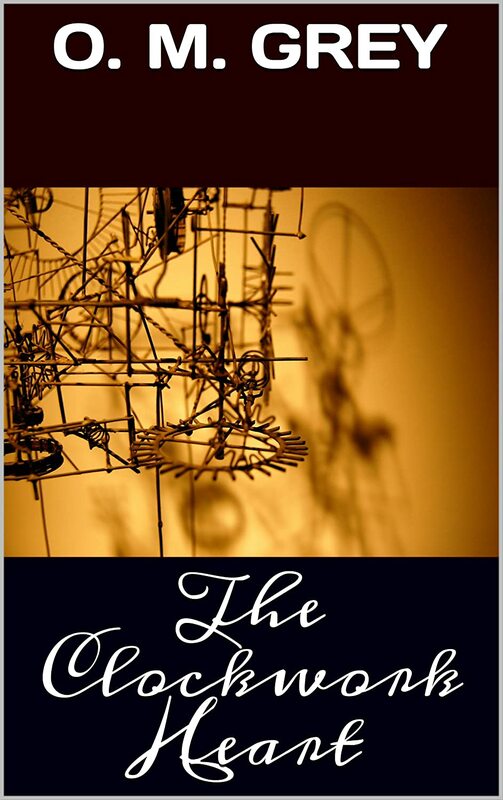 Steampunk readers will especially be interested in “The Clockwork Heart,” written in the style of H. G. Wells. Here’s what one reader says about it. This author has captured the feel of a period piece and still engaged the reader in the manner of a modern piece of fiction. Very engaging, her writing casually sneaks in and demands your attention. I enjoyed this story thoroughly. Olivia M. Grey lives in the cobwebbed corners of her mind writing paranormal romance with a Steampunk twist, like the Amazon Gothic Romance bestseller Avalon Revisited and its sequel Avalon Revamped. Her short stories and poetry have been published in various magazines and anthologies, like SNM Horror Magazine and How the West Was Wicked. Ms. Grey also blogs and podcasts relationship essays covering such topics as alternative lifestyles, deepening intimacy, ending a relationship with love and respect, and other deliciously dark and decadent matters of the heart and soul. This vehicle had three wheels, the single wheel at the front, and a rear-mounted coal-fired boiler and two-cylinder engine. The boiler pressure was 110 psi, and the cylinders had a bore of 76 mm and stroke of 178 mm. Transmission was by chain to the right-hand rear wheel. A maximum speed of 19 mph was claimed. A boilerman was seated at the rear, and three passengers could sit side by side at the front with the one on the right operating a tiller steering and the regulator, reversing lever and brake. The wheels had iron “tyres”, with the brakes operating on the rear wheels. Rickett made a second model with a slightly different style for an Earl who used the car to drive an astounding 146 miles in Scotland! Historically, the machine was short-lived and not terribly many sold, even for the low, low price of £200, but in my novel, Nickie Nick the Vampire Hunter reads about them in the paper and even sees one for herself! The alley was quiet this time when I emerged, and the smell of the blood was fading in the freshly falling snow. I went up to the mouth of the alley and stood just out of the light from the nearby gaslamp. The night had barely begun and the streets were rather busy with carriages and full of the sounds of clopping hoofbeats. My mind went back to the beautiful stranger. Where had he come from? Where had he gone to? One hears stories about how something very bad could be happening in an alleyway just adjacent a very busy street, but no one comes to help. I found that hard to believe before tonight. Yet he had come to help. He had probably saved Conrad’s life. And he knew vampires existed, that was a definite benefit. Then the strangest contraption caught my eye. It was a carriage without a horse, clattering down the street with the rest of the carriages. Being the daughter of industrialists, I certainly was not ignorant of modern machinery. After all, mother and father had some quite impressive steam machines that facilitated production in their textile factory. Even Franklin himself came up with truly ingenious inventions just from assembling junk and such, but this was like nothing I had ever seen up close. It looked every bit like a carriage, only instead of four wheels, it only had three, two large ones in back and a smaller one in front. From the large back wheels, chains ran from gears on the wheels to other gears extending from an axle beneath the carriage’s floor. 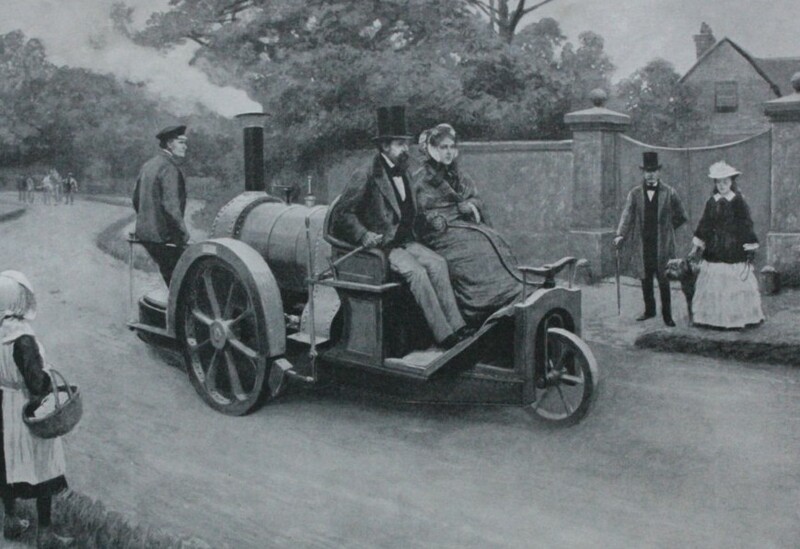 A man sat on the right, fully dressed for the evening in a top hat and fine overcoat, holding onto the steering rod with his left hand and another lever with his right. A woman wrapped in a fur stole and earmuffs sat beside him. Stepping up to get a closer look as the thing puttered by, I saw that there was a mechanism beneath the carriage floor that turned the gears, which in turn, turned the wheels. I stooped down to get a look of the thing from beneath, but it had already passed. There on the back sat the engine. It looked like a coal boiler and a long pipe extending up from it belched out steam. “Interesting, no? A far cry from a penny-farthing,” a smooth voice above me said. I stood up quickly to find that it was none other than my beautiful stranger. “Yes. It is a Rickett Carriage. I read about them, but I have never seen one before. Simply amazing,” I responded calmly, although some rather large fluttery things had taken up residence in my stomach. “How do you know my name.” It came out as a whisper, for I was breathless. He filled my world. It was as if all of London fell away from my vision, and there was only him. Black eyes twinkling in the gaslight. One side of his cinnamon lips curled up in a half-smile. Pale skin covered in soot and jaw-hugging sideburns. I shivered, and it was not the cold December night that caused it. I took his hand and gave it a manly shake, which was not too difficult with my new strength. “Strong, too, for such a young lad,” he said, putting his hand back in his pocket. I felt my brows furrow at this. He thought me a boy, and a kid at that. I was no kid. I was The Protector, after all. Great. That sounded quite mature, Nicole. I bit my lip to stop from scolding this infuriating man, and I turned back to him, ready to do so anyway. As soon as I caught his eyes again, however, I was unable to speak. Literally. The ability to form words completely escaped me. Read the rest of the Chapter, or even more of the book, for free on my blog, Caught in the Cogs, or get your very own copy from Amazon. Return again in two weeks to learn more about real history in fiction. Olivia M. Grey lives in the cobwebbed corners of her mind writing paranormal romance with a Steampunk twist, like the Amazon Gothic Romance bestseller Avalon Revisited. Her short stories and poetry have been published in various magazines and anthologies, like SNM Horror Magazine and How the West Was Wicked. Ms. Grey also blogs and podcasts relationship essays covering such topics as alternative lifestyles, deepening intimacy, ending a relationship with love and respect, and other deliciously dark and decadent matters of the heart and soul.